January 29, 2018 admin Art, Banners and Displays, How To, Photography, RequestAPrint, Tips, What is High Resolution? Resolution is defined as pixels per inch (ppi) or more commonly, dots per inch (dpi). You can state the resolution in one of two ways, the dots per inch and the number of inches (300 dpi at 10 in.) or the actual pixel dimensions (3000 pixels by 2400 pixels – the size of a 10 x 8 print at 300 dpi). As a rule of thumb, images when sized to their printed or displayed dimensions would be at 72 dpi for use on the web, 150 dpi for ink jet printers, and 300 dpi for commercial printing. Supplying images at a resolution slightly higher than what is required is a good thing, and images at a lower resolution will need to be “bumped up” degrading the quality, Photography should be done at the highest camera resolution and the original file saved and backed up. Never modify the original file. Make a copy to edit and size. Am I the only person who has walked outside and discovered the black pants I put on were actually blue? To see a “true” color we need to view it under a “true” light source. To accurately match colors we need to view them under the same light source. Daylight is the accepted norm, to be more specific, a bulb with a color temperature of 5000k and CRI (color rendering index) of 90+. These bulbs are generally labeled as “Natural Light’. 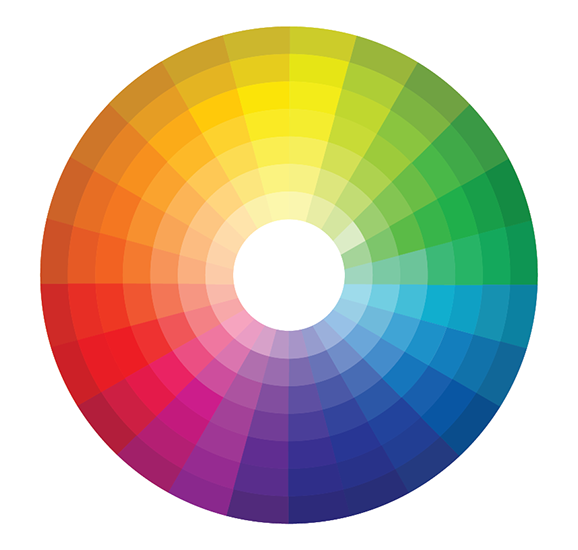 All cameras have a color bias and not all colors will photograph accurately. Although your camera’s Auto Color Balance isn’t exact, it will work fine for most pictures, but when you need exact color matches, you need to control the light – from the light you photograph with to the light with which you view the print.